Now until the end of July we’re featuring Maple flavoured gelato and lattes! 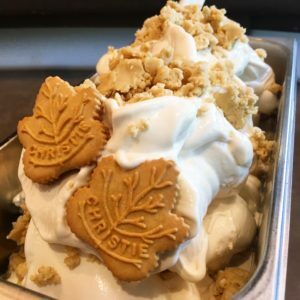 Our own Maple Cookie Dough Gelato Recipe is made with 100% pure maple syrup. Layered with pieces of homemade sugar cookie dough! 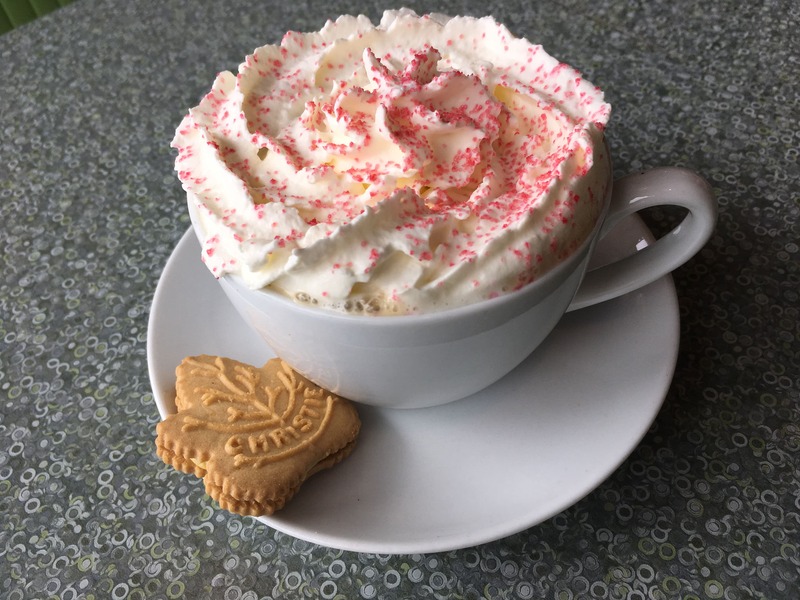 Our signature Maple Cookie Latte is made with pure maple syrup, espresso and steamed milk. 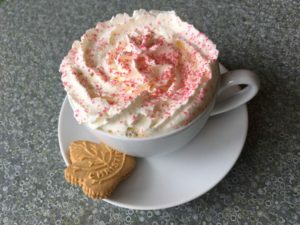 Topped with whipped cream, dusted with red sprinkles and served with a whole maple cookie!